Ukrainian President Petro Poroshenko says he will sign a decree on Odesa regional governor Mikheil Saakashvili's resignation if the Ukrainian government submits a corresponding motion. "If the Cabinet of Ministers of Ukraine submits the motion, the President of Ukraine will enact Saakashvili's resignation. Meanwhile, actual reasons of his resignation will be analyzed," the Ukrainian Presidential Administration's press service told Interfax-Ukraine on Monday. Relations arising in connection with entering into the civil service, its tenure and termination are in line with legal status of civil servants, which is stipulated in the law on civil service, which came into force on May 1, 2016. The law is applicable to public servants of the Secretariat of the Cabinet, ministries and other central executive authorities, local state administrations (district, regional, in the cities of Kyiv and Sevastopol), the prosecutor's offices, the military command, embassies and diplomatic missions of Ukraine and other state agencies. The positions of civil service are split into three categories - A (the highest body of civil service), B and C - depending on appointment, specifics and scope of obligations and competences necessary for work. The bill also provides for setting up an A category civil service commission, which will hold open and transparent tenders to select A category government workers, which include, among other things, the position of regional governors (heads of regional state administrations). At the same time, according to the Law of Ukraine on local state administrations, heads of local state administrations (district, regional, Kyiv and Sevastopol) shell be appointed by the President of Ukraine after nomination by the Cabinet of Ministers of Ukraine for the period of his or her presidency. 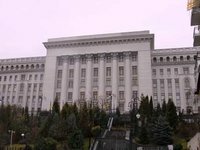 Candidates for the posts of heads of regional state administrations shall be tabled by the prime minister to the Cabinet of Ministers for consideration. Candidates for the posts of heads of district state administrations shall be tabled by the heads of respective regional state administrations to the Cabinet for consideration. One candidate should be nominated per each position. If the President of Ukraine turns down a nominee, either the Prime Minister or the head of a regional state administration should propose the Cabinet a new candidate. The heads of local state administrations receive their full mandate since the day of appointment.